New kitty? New to the area? Receive a free initial pet exam! We honor ALL Rescue and Shelter initial exam coupons! Please call us at 925-606-0191 to take advantage of this exclusive offer. Special care for your feline companion! Welcome to Altamont Cat Hospital, one of Livermore’s most advanced and experienced centers for cat care. Dr. Melissa Mathews, joined with a concerned and knowledgeable support team, offer state-of-the-art care for your kitty. We specialize in the treatment of cats and we offer a full range of care services including behavior counseling, preventive medicine, dentistry and surgery. To learn more about our unique facility, please give us a call or stop by and see us. Altamont Cat Hospital is a full service cat care center and we welcome urgent cases as well as common pesky feline medical, surgical, and dental issues such as itchy skin, abscesses and wounds, hairballs, diarrhea, bad breath and of course that nasty urination outside the box! Melissa Mathews is experienced in all types of conditions and treatments. Beyond first rate cat care, our clinic is quiet, clean, comfortable and calm environment so your kitty can relax in the waiting room and look forward to meeting his or her own Livermore kitty veterinarian. We have a number of resources for you to learn about how to take better care of your pets. Browse around and look at our articles and pet videos. The best veterinary care for animals is ongoing nutrition and problem prevention. If you want to ask a question call 925-606-0191 or email us and we'll promptly get back to you. Our Livermore veterinary office is very easy to get to, and you can find directions on our Contact Us page. You can also subscribe to our newsletter which is created especially for Livermore pet owners. In between your veterinary visits, your kitty will benefit from you reading these free informative articles. At Altamont Cat Hospital, we treat your pets like the valued family members they are. 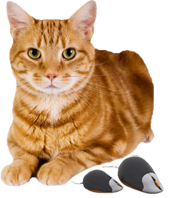 Altamont Cat Hospital is proud to serve the Livermore CA area for everything cat related. Our veterinary center for kitties is run by Dr. Melissa Mathews, who is a licensed, experienced Livermore veterinarian. Our team is committed to educating our clients in how to keep your cat healthy year round, with good nutrition and even kitty exercise. Altamont Cat Hospital stays on top of the latest advances in veterinary technology and above all, remembers that all kitties, big and small, young and old, outgoing and shy all need to be treated with loving care in every check-up, procedure, or surgery. "Like Dr she is very thorough caring compassionate. She spends as much time as you need with you. She doesn't do unnecessary testing she tries to do minimal until she's comfortable in the direction she needs to go. My cat like her she just doesn't walk in and start probing on them she spends time putting in talking to him first. I have never been there when I've had to wait for when there's anybody ever backed up they don't double book and they give you ample amount of time with the doctor. I suggest that you give her a try I'm sure you will love her as much as I do."